The Australian Sikh Heritage Association Inc. (ASHA) is a not-for-profit association registered as a charity with the Australian Charities and Not-for-profits Commission (ABN 94603012755). 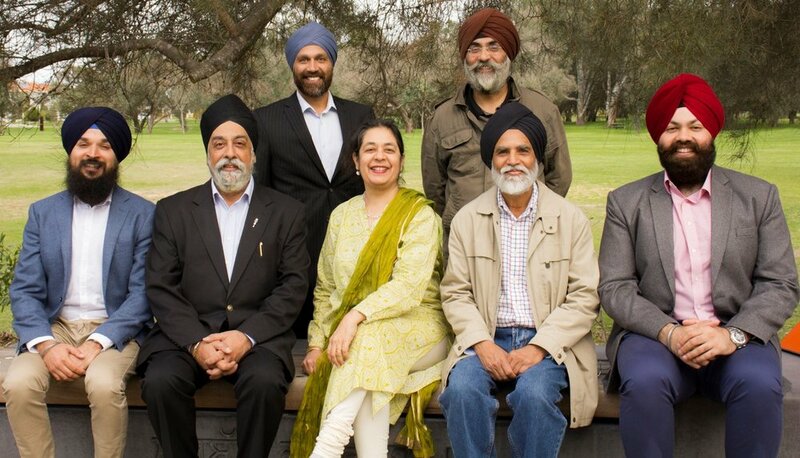 ASHA was founded in 2012 by a small group of passionate Australian Sikhs committed to preserving and sharing Australian Sikh Heritage. In 2014, ASHA was incorporated in Western Australia and also registered as a national body on the Australian Securities and Investments Commission. This small professional team work closely together in furthering ASHA's objectives. The current committee members of the association are shown below. Should you wish to join the team please use the Contact Us section of the website. We would love to have you on board! Dr Amarjeet Singh was one of the founding members of ASHA. Unfortunately Dr Amarjeet Singh passed away in 2015. A real driver behind the team and committed to furthering ASHA's objectives, Dr Amarjeet Singh is sorely missed by the ASHA team and the wider community. The ASHA team acknowledges his extraordinary contribution to our work and will forever be indebted to his guidance provided over the years.